There's a source of inspiration for every type of design you can think of. Struggling to create the perfect font pairing? Head to Typewolf. Searching for ideas for your website redesign, or a specific webpage? Browse Crayon. Looking for all-around epic sources of design inspiration? Check out the latest crop of Webby Award winners. But as awesome as these collections are, it's dangerous to rely on them exclusively. If all designers are referencing the same ideas, concepts and templates from the same websites for design inspiration, every design then sort-of becomes a variation of an existing one. It's almost impossible to create something novel or unique, when all designers are basing their ideas on the same inspiration sources. Throw some new sources of design inspiration into the mix, alongside your regular sources! These 10 websites will keep you inspired in unexpected ways. 99% Invisible is a blog and radio show hosted by Roman Mars. It delves into the unnoticed yet beautiful, intriguing and significant forces that shape our world. 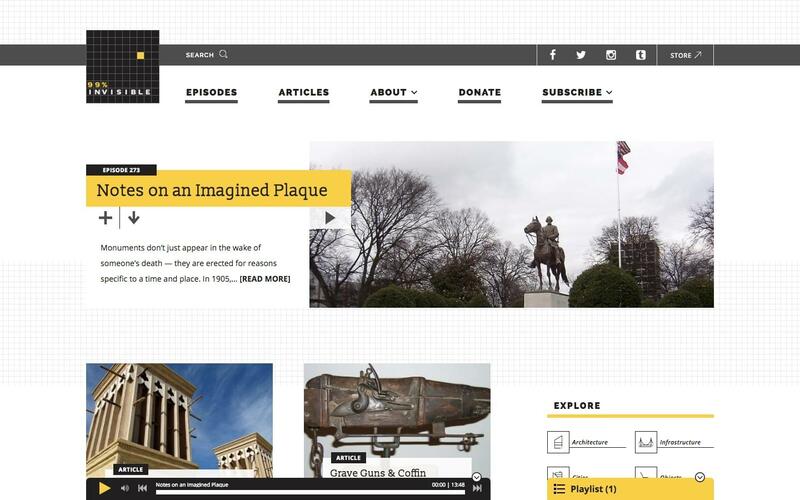 Each episode is approximately 15-25 minutes long and covers a single topic related to architecture, objects, visuals, history, technology, society, cities, sounds and infrastructure. Not only will it help you look at your surroundings with fresh eyes, but it'll help you hone your attention to detail. It's the "little things" that often make or break a design, so an enhanced focus on little details is definitely a skill worth mastering. My grocery trips have been taking twice as long since I discovered The Dieline. This epic website features at least one innovative packaging design per day, but often shares two or three. You'll be both surprised and delighted to see how the most mundane items (like pencils) can be elevated by logo design and clever packaging. The fundamentals of design apply to packaging like any other aspect of design. For example, if there's not enough white space in the design on a bag of coffee, it’ll look crowded and strain the consumer's eyes when they're trying to read it in the supermarket, resulting in a loss of sale. 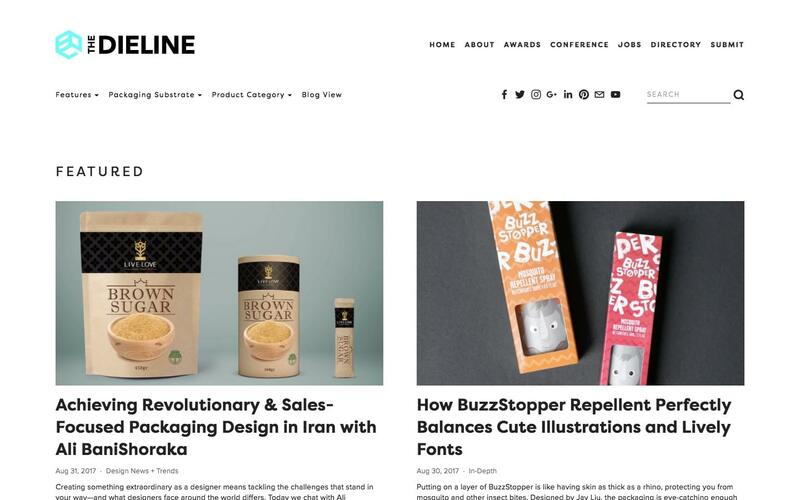 Because these design concepts carry over in many ways, scrolling through The Dieline will reinforce your existing design knowledge regardless of whether you’re you're a logo, web or user interface designer. 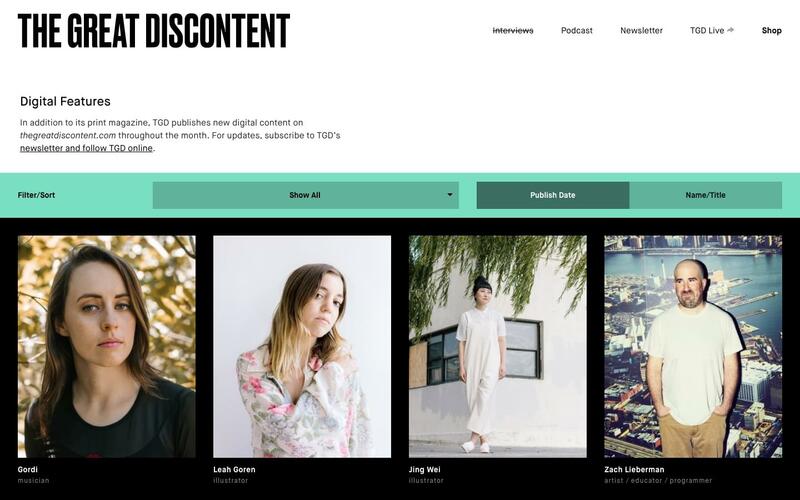 The Great Discontent is a print and digital magazine showcasing all types of creatives from photographers and graphic designers to illustrators and filmmakers. Unlike many other design inspiration sources, TGD features the astonishing designers behind the work, not the only works themselves. Sometimes it can be even more inspiring to read about an artist's beginnings, their current projects, and the biggest challenges they've faced, than to see the work itself. After all, creative work can be emotionally draining, since you're not using up both your physical and mental strength equally, but rather 100% (and sometimes more!) of your mental strength. Knowing that others can relate often rejuvenates you and inspires you to carry on. You'll also learn how other creatives generate their amazing ideas. 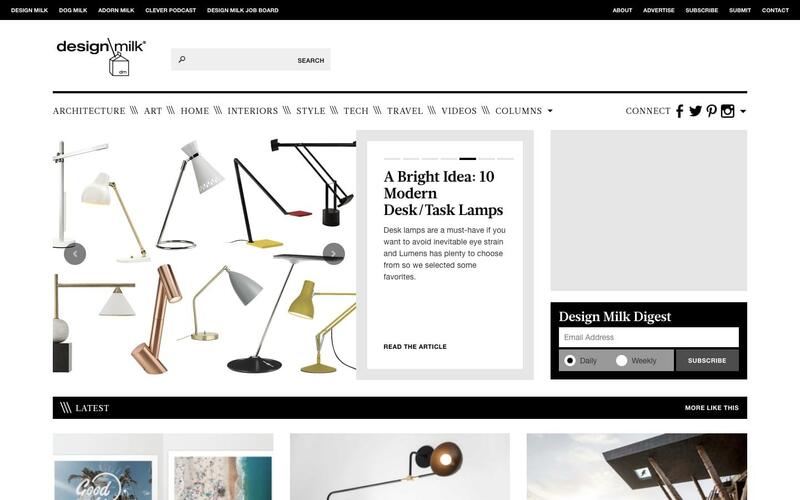 Design Milk never lets me down when I need straight-up visual eye-candy. This online magazine curates the best art, interior design, furniture, fashion, technology and architecture from around the world. The photographs are stunning, the cultures and aesthetics are stylistically varied but universally interesting, and the writing is solid. If you need bursts of inspiration from a variety of different art concepts, Design Milk is definitely for you. And, if you're only interested in a specific vertical—say, architecture—it's easy to filter out other content and narrow down your search. Nothing fuses the creative and the orderly together like a style guide. Brad Frost, well-known front-end designer and author of Atomic Design, created Style Guides to house an ever-growing collection of resources on the topic. The Talks and Tools sections are certainly worth scrolling through, although my favorite is Examples. You'll find some of the most well-crafted style guides in existence, from the biggest brands today. Better yet, you can sort through them by their content. Counterintuitively, rules and restrictions often inspire some of the most inventive designs. After all, they force you to find unexpected solutions and workarounds, where a "no-limits" approach has the tendency to make designers feel lazy. This explains why business cards are a reliable source of inspiration. A business card designer has a tiny medium for a big task: communicating someone's professional identity. Whenever you're struggling to pare down your copy to the essentials, or make a design feel less busy, use Card Nerd. This gallery is updated several times a day with new business cards, ranging from minimalist to bold and colorful.